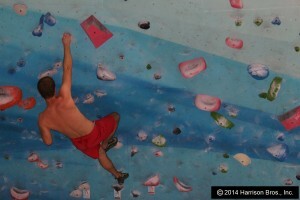 Even the best route setters eventually run out of good, new challenging ideas for routes on a wall that they have worked on dozens, or even hundreds of times. When your center hits this sort of a wall (sorry), you might want to consider bringing in a star guest route setter. The Route Setting Association has an online “find a route setter” feature that will do an international search for you, based on the kind of facility you run and the kind of route you would like to have them set. Once you find a setter that interests you, you can look at their profile to help determine if they offer what you are looking for.